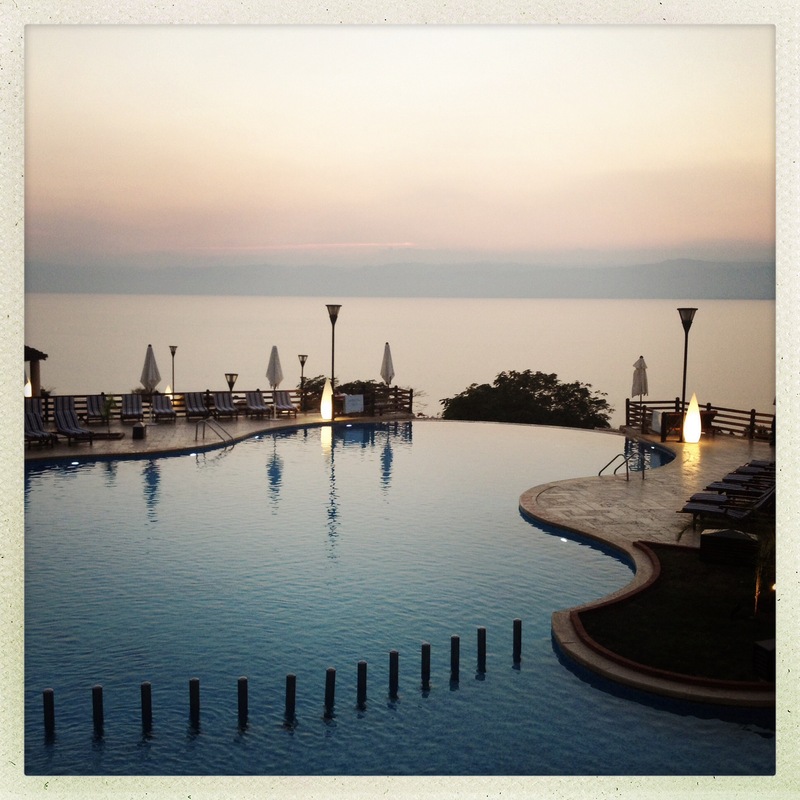 Jordan – Dead Sea. Day seven. Before we could reach the second view of the beautiful infinity pool overlooking the Dead Sea at the Marriott Dead Sea Resort Hotel and Spa we had a loooooooooong drive up the Desert Highway. When I say long, I mean 4 hours, which is nothing when you’re driving distances say in Australia or the USA, but it feels long when you’re driving essentially from one end of the country to the other! There’s not much to report about the drive. It’s not particularly scenic. I had to stop for a wee in a ditch. As I learnt in the outback in Australia “Every tree is your lavatory”, except there’s not many tree’s by the side of the Desert Highway. Needs must. The most interesting thing about the drive for me (before you see views of the Dead Sea) is seeing all of the army checkpoints. The Desert Highway runs alongside the border to Israel. First glimpse of the Dead Sea and you notice how much it is receding. There is very little rain over the Dead Sea region and the only water source to it is from the Jordan River which is mainly used for human use. Between this and evaporation rates the Dead Sea is shrinking. I understand that are lots of discussions about what to do but as yet I’m not sure a decision has been made on preserving this. The Marriott is beautiful. 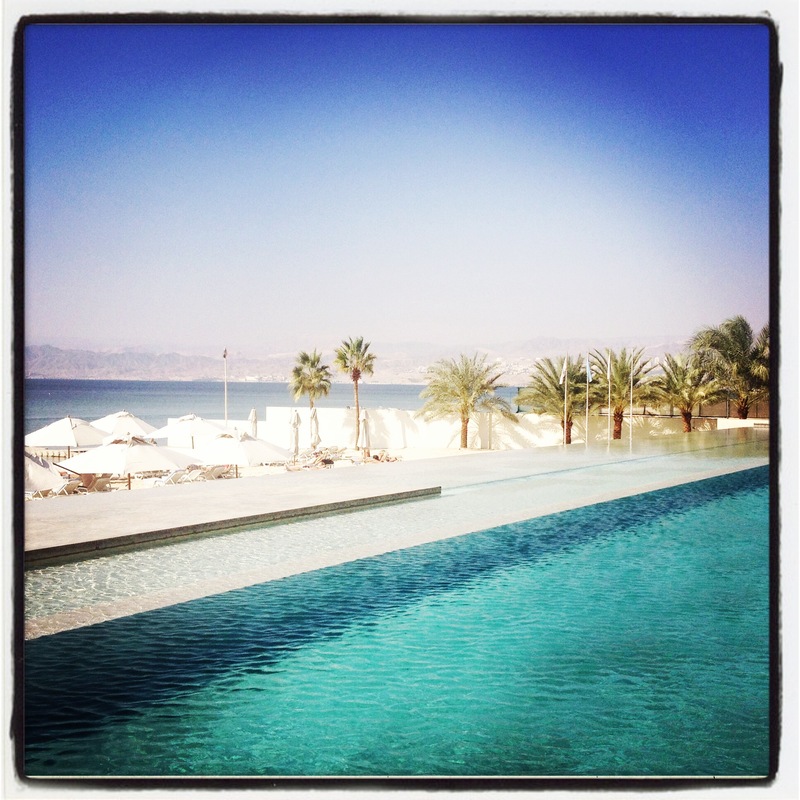 There are three outside pools, the last being the infinity pool overlooking the Dead Sea (pictured above). In the area of the hotel there literally are only resorts. There is no option to eat outside of the hotel or anywhere to explore but the hotel had several restaurants and a bar which had happy hour which reduced the costs a little. Towards the end of happy hour Dad and I had that decision to make of whether we take our calories for dinner in more beer or actual food. We chose to have buffet dinner (for one last time) and a lovely red wine. ← Jordan – Wadi Rum Tour then TO AQABA! Day six.